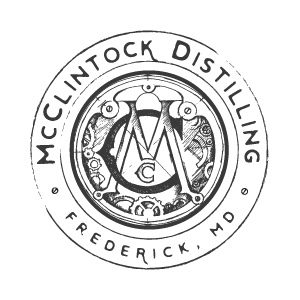 McClintock Distilling uses organic grains to produce our spirits that are milled in-house at our facility. By buying organic, we can ensure the highest quality of grains that free of pesticides and chemical additives and help support small, family-owned farms. Every step of the process is overseen by our distillers to ensure the highest quality spirits for you. We have taken measures to ensure that all of our production methods are sustainable and environmentally friendly. All spent grains are used as livestock feed in local Maryland farms and our heads are re-used in our distillery for cleaning. Our closed loop cooling system and advanced tank cleaning also dramatically reduce wastewater from production. Come visit us to see what other steps we are taking to create responsibly created spirits.